Please leave your details below to download your free copy of our latest report, Is Mobile Measuring Up? 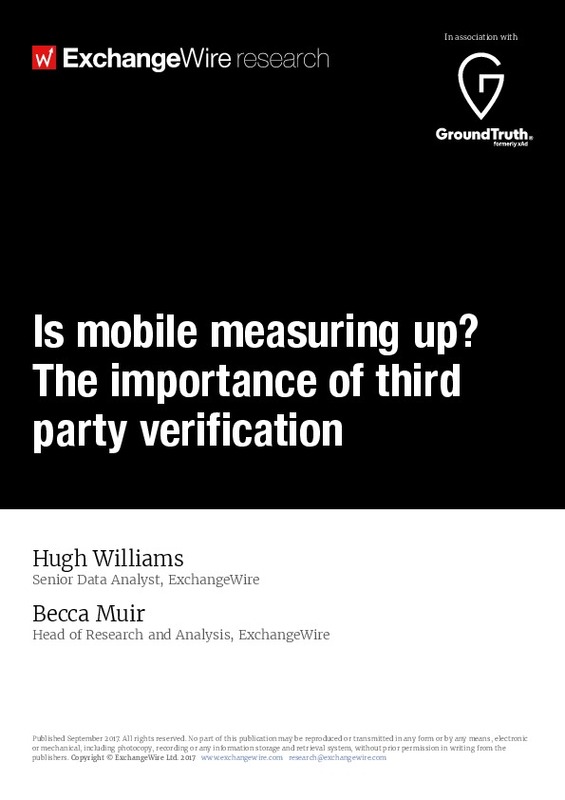 The importance of third-party verification, in association with GroundTruth. You will receive a link, via the email address you supplied, to download the report. ExchangeWire does not share any of your personal information with third parties, without your explicit consent. By checking this box, you agree for your details to be shared with the sponsor of this report, GroundTruth. ExchangeWire will only share your name, email address, job title and company name with GroundTruth, and with no other third parties. GroundTruth may wish to contact you to discuss its products and services, but it will not share any of your personal information with third parties, unless you explicitly consent to it.